NBA Talk: Is the All-Star Game what it used to be? With the NBA season reaching it’s halfway point, it’s time to enjoy All-Star weekend. However, in an era of extreme friendship and popularity, does this game even have meaning anymore? The NBA. Where some of the world’s greatest athletes compete for 82 games, plus a two month postseason. A league dominated by it’s best and brightest stars. LeBron James, Kevin Durant, Steph Curry, James Harden, etc. The names are globally recognizable. However, these guys share something their predecessors did not. Friendship on and off the court. Why is this an important thing to note? In competition terms, Magic Johnson and Larry Bird were never friends on the court. However, they became good friends and respected one another post-career. Things have changed drastically. While competition is still high, guys in the league are close and oftentimes desire to play on the same team. In fact, there are some recent examples. Dubbed “The Super Team” era, it truly began in the summer of 2010. Most will recall “The Decision.” While that kicked off the Miami “Big Three” other teams soon built their own super teams. The Golden State Warriors won 73 games in 2016. They added Kevin Durant the following off-season. While this is the state of the NBA, why is this relevant to the All-Star game? Because of the variety. What does that mean? In the 90s and 00s, teams usually could compete with one All-Star. These days, teams need at least two to three. Or in the case of the Warriors, five. However, the All-Star game just has a different meaning these days. The modern NBA focuses on many things. In fact, the NBA in some capacity is genius. The science behind rest, taking care of the body, and the resources available to perform these duties has allowed the league’s stars to be available for longer stretches. With that, however, comes some drawbacks. The league has unfortunately become obsessed with health. Players skip out on big games and have even made the All-Star game a joke. Every year since 2015, the All-Star game has broken the record for points scored. The Dunk Contest saw it’s best years go by, and the Three-Point Contest is merely a show of what teams do every night. Fire away. Yet, we still tune in for some odd reason. The dunk contest has improved a bit but doesn’t compare to the days of Dwight Howard or Vince Carter winning. However, the biggest problem with the game is the fan voting. It’s easy to vote for the players a fan likes. For example, if you are a fan, Derrick Rose, of course, you will do everything you can to get him in the game. Luckily, the fan vote only counts as half of the voting process. But now teams aren’t chosen based off of conference. Now it’s team captains. A nice little playground feel to the game for some added spice. Unfortunately, it isn’t enough to fix the issues. There are a variety of problems that plague such an awesome game. Let’s examine a few. Despite LeBron saying the All-Star game is not a recruiting tool, I don’t quite buy it. With the players choosing rosters, there two routes a team captain can go down. Either choose players based on friendship or see how you would mesh with another star. For example, amidst all the trade rumors and post-deadline talk, why would LBJ choose Anthony Davis on his squad? It is known that he wants Davis in L.A., and Davis wants out of NOLA. In fact, take note of some other players on his roster. Durant, summer free agent. It is unknown whether KD will remain in the Bay Area, or move on. But, you can bet on one thing. LBJ and the Los Angeles Lakers will try hard to recruit him. And that process starts subtly this weekend. How about another summer free agent with closer ties to L.A.? If you guessed Klay Thompson, good job. Thompson is set to make a decision this summer about where he will end up. Of course, he wants to remain in Golden State. However, you can bet LBJ will also make a case to him about playing together in a subtle way as well. Is it a personal criticism of James? Absolutely not. All players try this now. James Harden in Houston got Chris Paul to buy in and join the Rockets. Or, Russell Westbrook and the Oklahoma City Thunder getting Paul George? It happens all over the league now. It isn’t the biggest recruiting factor, but the All-Star game plays a role in what happens in the summer. All right I know this one will generate some controversy, but just hear me out. It’s all about offense. And not even good offense. Even in the 90s, the All-Star game had a playoff-like atmosphere, with competitive balance, desire to win, and still had the glitz and glamour of the stars. Oh, and they played defense. And yes, the game is flashy now, but believe it or not, it used to have a different flare to it. Now it’s meaningless dunks and passes among friends. Oh, and we’ll get to the meaningless portion shortly. In essence, it’s a weekend get together for the league’s stars to just play playground basketball. But even playground ball offers more defense than we’ve seen from the NBA All-Star game in a while. Last year was a bit better, and even had an exciting end, but still didn’t fully capture the magic NBA basketball can. The biggest issue with the game is the lack of incentive for it. In baseball, for example, the winner of the game determines which league gets home field advantage during the World Series. In the NFL, player contracts get bonuses for playing in the game. However, in the NBA, there are no real incentives to play for. Doesn’t matter for home court, that is determined by seeding and record. NBA players don’t need bonuses since they get to play for their checks in May and June. Overall, the NBA All-Star game is fun but just feels like it’s missing a pinch of competition. Is the NBA All-Star game what it used to be? Not really. It is still fun and watching the league’s stars play is always enjoyable. But, the competition is not there. And it really suffers from that. The scores are all meant to be run up as high as possible with zero effort on defense. In the end, while it is all meant to be fun, it eventually gets stale. 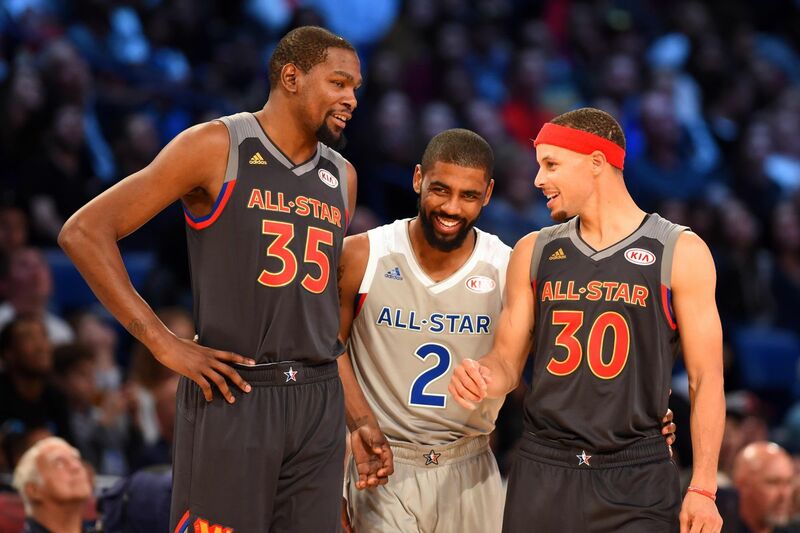 The NBA needs to find more ways to reinvent the All-Star experience. Tweaks can still be made to the voting format and ensuring that players deserving to be in it get in. The celebrity game is always fun, but the other events also need some spice added. Overall, it’s still a good experience, but maybe some more scenarios that impact the outcome of the season would add some needed change. And who doesn’t like drama in their games? NBA All-Star weekend kicks off this Friday, February 15th. The official All-Star game is February 17th with Team LeBron taking on Team Giannis. in Charlotte. See you during the second half of the season, NBA fans.